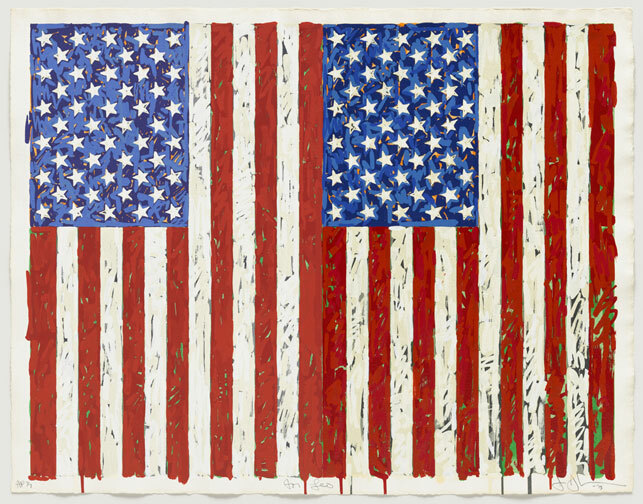 Flags I by Jasper Johns, 1973. To paraphrase Walter Cronkite: And that’s the way it is, Wednesday October 2, 2013, the second day Americans have been held hostage by crazed members of the Me Party. For the music, I suggest Tony Orlando and Dawn, Tie a Yellow Ribbon. Because I am waiting for the hostages to be released. Steve Martin… I can see that.